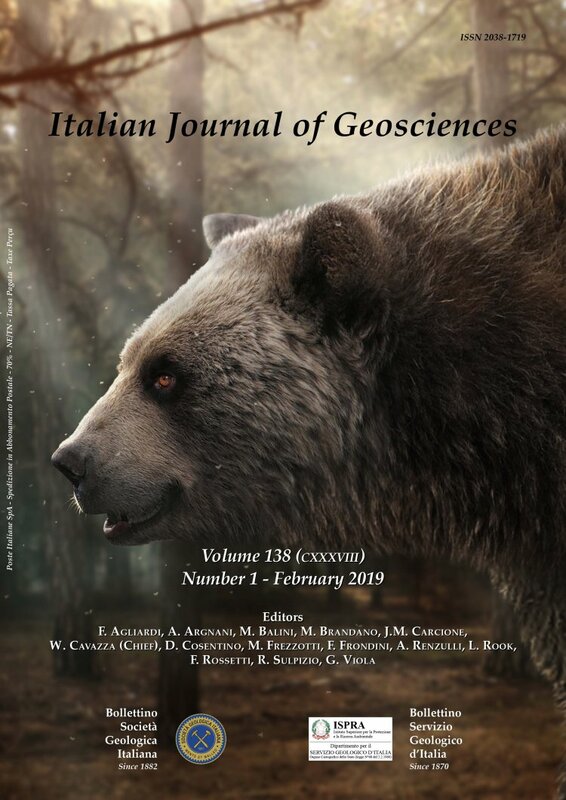 The Italian Journal of Geosciences (Bollettino della Società Geologica Italiana e del Servizio Geologico d'Italia) is the official journal of the Italian Geological Society. It is published every four months in February, June and October. It is included in the Journal of Citation Report issued by the Institute of Scientific Information (Thomson ISI database) since 2004. It is indexed by Science Citation Index-Expanded (SCIE), Web of Science, Current Contents/Physical, Chemical & Earth Sciences (CC/PC&ES). The Italian Journal of Geosciences (born from the merging of the Bollettino della Società Geologica Italiana and the Bollettino del Servizio Geologico d'Italia) provides an international outlet for the publication of high-quality original research contributions in the broad field of the geosciences. It publishes research papers, special short papers, review papers, discussion-and-replies for their rapid distribution to the international geosciences community.